Few things are as life-changing as the birth of a child. At the same time, pregnancy is a scary, uncertain time, where countless things can go wrong. If there’s anything that can be done to stack the deck in favor of a healthy, happy, and safe birth, don’t be surprised if the mother-to-be gives it a try. From fad pregnancy diets to laughably weird products, there is a whole industry dedicated to preying on the fears of pregnant women. 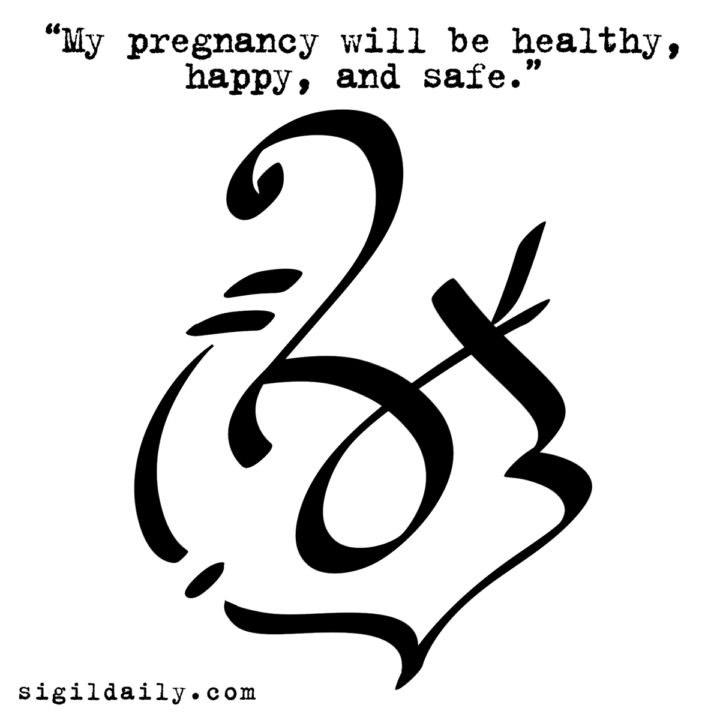 Instead of all that, here’s something free: A sigil for a great pregnancy.